Syrian refugees to seek shelter in Israel? As Syria slides into what appears to be a civil war, the permanent presence of President Bashar Assad's army along the border with Israel has granted him some peace and quiet on the part of the area's Syrian residents. Nonetheless, the IDF believes the tyrant's days are numbered and is not ruling out the possibility that the riots will reach the border area, including extreme scenarios in which Syrian refuges will seek shelter in Israel of all places. The defense establishment is closely monitoring the situation in Syria, and like many elements in the West and in Arab countries, is certain that the tyrant won't remain in power much longer. "Assad is fighting for his life and for his regime," a Military Intelligence official estimated last week. In the meantime, it seems that apart from a number of protests in the village of Majdal Shams (most of which were pro-Assad), the northern border area is quiet, especially on the Syrian side. Intelligence assessments reveal that the Syrian army stationed along the border with Israel has neither diluted nor boosted its forces in recent months. 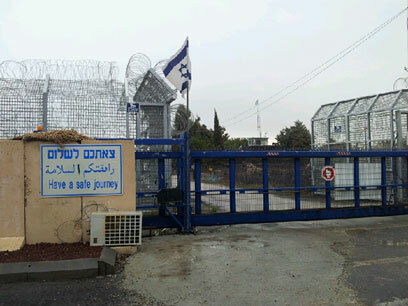 In light of the upheavals in the region, and on the backdrop of the provocative protests held on the fence about half a year ago – in which Syrian and Lebanese nationals were killed by IDF fire – the defense establishment is not ruling out radical scenarios of internal-Syrian escalation in the towns and villages along the border. Assad enjoys a state of calm in the border area, mainly because the Syrian army has permanent posts and massive presence in the area since the 1974 ceasefire agreements. The calm on the streets of Quneitra, and other villages in the area, is carefully maintained. But the IDF is not ruling out the radical possibility, which is currently defined as slim, that the bloody riots will spread to village near the border. One of the possible ways of action considered is dealing with Syrian refugees who will storm the border seeking political asylum, as they have been doing on Syria's borders with Turkey and Jordan. Despite the low probability, in such a situation the refugees are expected to receive temporary shelter in Israel. 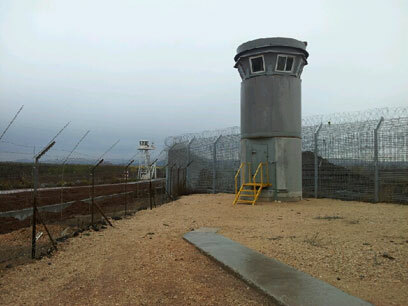 In light of these considerations, the IDF is close to completing a lineup of barriers along the border with Syria. Minefields have been renewed, deep tunnels have been dug, and a new barbed-wire fence has been deployed in sensitive areas. The construction of the new crossing in Quneitra, which now includes the only concrete guard post along the border – has also been completed, and is expected to provide a better response in case the protests resume. The forces along the border are also prepared for any scenario, including the renewal of protests by Palestinian refugees living in Syria or Lebanon, in accordance with any progress made in the peace process and orders received from the Hamas leadership in Damascus. The IDF's observation systems are directed at the Syrian towns and focus on approaching buses. The routine security forces stationed along the border are capable of receiving early warning before a mass movement toward the fence. The forces have been holding frequent drills simulating different extreme scenarios, including gunshots fired during a border protest and an attempt to kidnap an Israeli soldier. Operation Summer Seeds, which armed the forces in the West Bank with many crowd dispersal means, included the force operating on the northern border as well. In the meantime, the heightened state of alert will continue at least until the end of the winter. See all talkbacks "Syrian refugees to seek shelter in Israel?"